SURPRISE COOKIE ATTACK! Eau Claire writer Claire Wilson and her husband, Glenn, demonstrate the “Formal Oreo Tasting” from her new book Date like a Ninja. Ninjas might not be as debonair as Cary Grant or as suave as James Bond – although, like 007, they too are usually clad in black. Ninjas’ proclivity to wield fists of fury and samurai swords might negate any air of gallantry, but one Eau Claire author thinks they know a thing or two about spicing up your dating life. 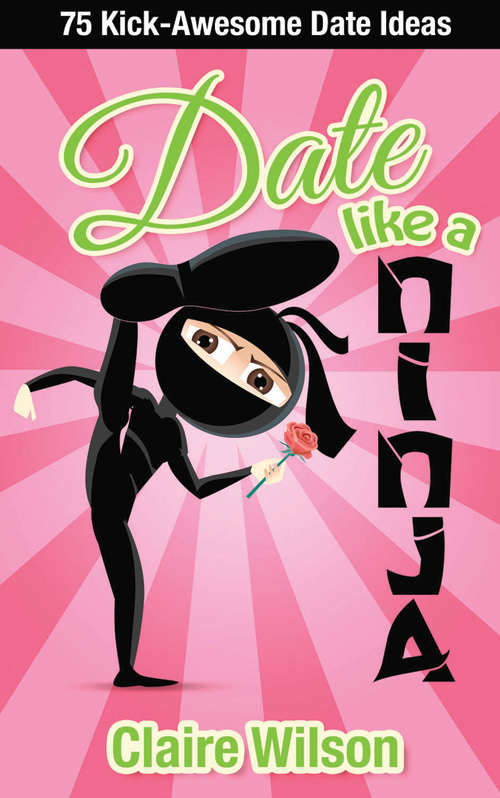 Claire Wilson said her new book, titled Date like a Ninja: 75 Kick-Awesome Date Ideas, will help people get out of the dinner-and-a-movie dating rut. Divided into four sections – cheap dates, last-minute dates, double dates, and out-of-the-ordinary dates – the book showcases 75 dates that span all seasons, work for any age group, and apply to both married and unmarried daters. What launched the book was a double date that Wilson planned for her husband and two friends. The date had each person buy objects that fit into the different categories: something that makes the other person laugh; something that reminds you of your childhood; something that reminds you of an inside joke you share; something that reminds you of the other person; and something that the other person will have to use as a utensil at dinner. At the end, they swapped with their sweethearts. Some of the other date ideas include: a romantic evening of becoming Oreo savants and taste-testing myriad varieties of America’s Favorite Cookie; a competition in which you MacGyver whatever you have in your car to make the most romantic gift; a double date dubbed “Russian Roulette Date,” where daters put three good date ideas and one terrible date idea in separate envelopes, draw one and do whatever it is; and another double date where couples devise three categories to compete in – like board games, chugging root beer, trivia – and losers buy the other team dessert. For now, the book is available on Amazon.com, though Wilson is working on getting it into bookstores in the near future.